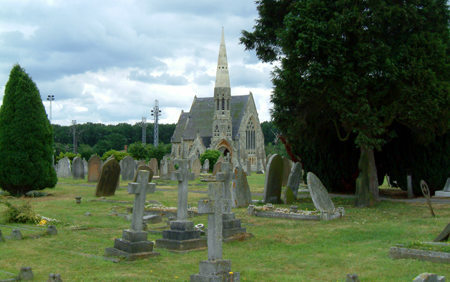 At first glance the photograph above of the chapel in the grounds of Windsor Cemetery seems much the same as the chapel today, pictured below, however the current chapel features a reconstructed steeple. 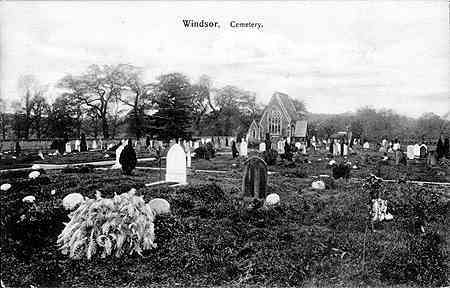 This suggests that the chapel in the postcard above is the one that was demolished when it fell into disrepair a number of years ago. 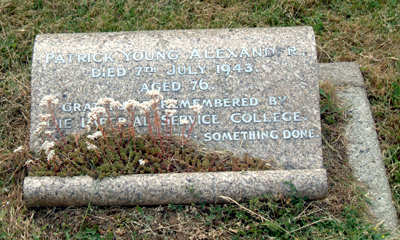 Patrick Young Alexander, Pioneer Aviator, born 1867, died 7th July 1943, aged 76. 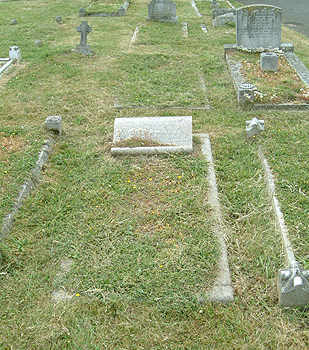 Mr Alexander was a former master and benefactor of Imperial Service College when in Windsor. 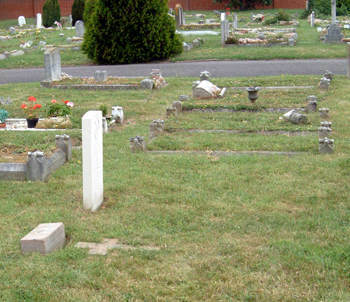 Trooper Brown's grave in the foreground with the cross lying in the grass with PYA's grave just 5 plots away.